I've talked about my love of Mexican food on here before. 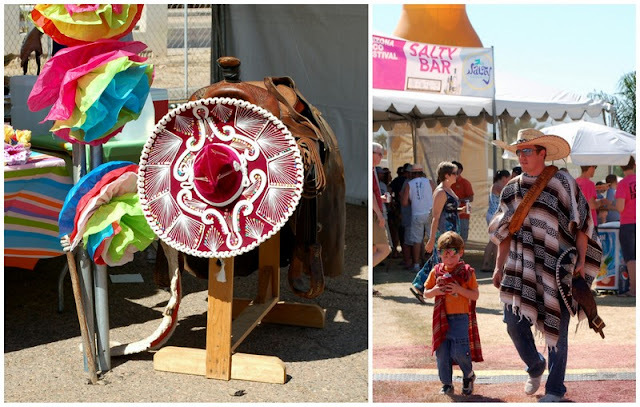 When my friend Jess invited me to attend the 2nd annual Arizona Taco Festival with her, I couldn't wait for the day to arrive! 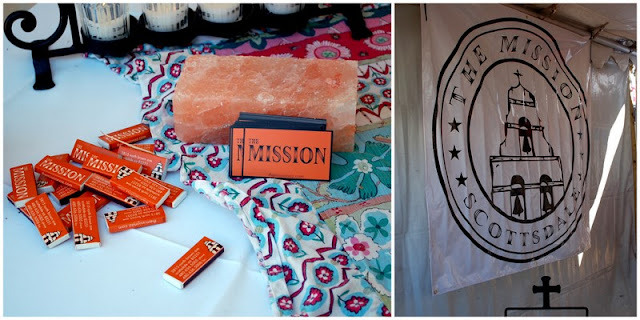 On Saturday, we headed out to the Scottsdale Waterfront after a quick coffee run to Echo. Warning...photo heavy! The gates opened at 10 and we arrived bright and early, a bit before 11. The line was already forming, but thankfully we didn't have to wait long to start touring! Most of the trucks & booths were already cooking away, and the smell was fantastic. We bought our tickets and did a quick lap to figure out which vendors looked the best...which was all of them. All 40 of them. People do not mess around here. The whole festival was also a judged competition, with the winner walking away with $7,500! And boy did they suffer for it. It was already 100 degrees when we got to the festival grounds in the MORNING. Death. 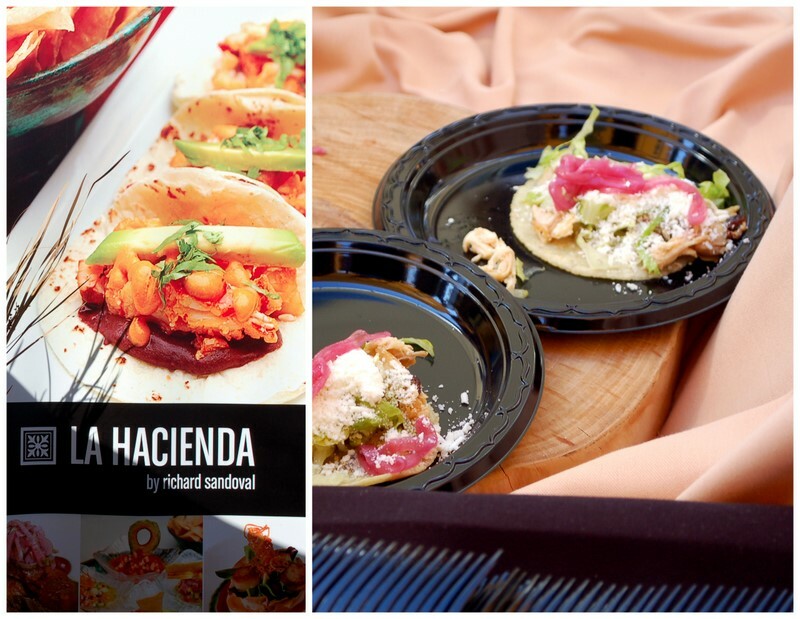 Our first stop & sample was at the La Hacienda booth. 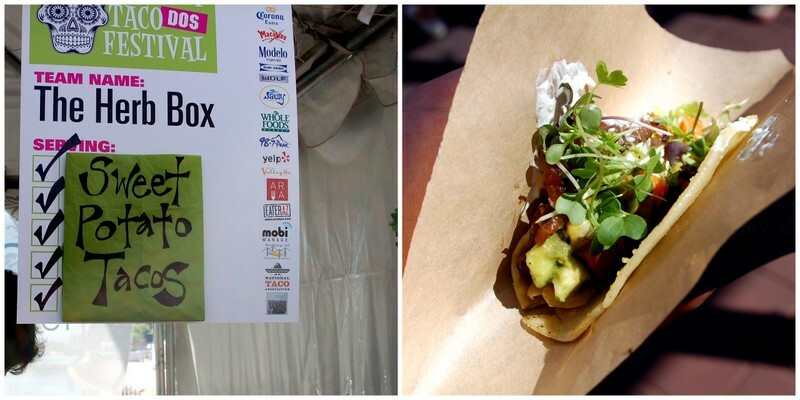 A previous taco festival grand champion, they had long line, beautiful booth set up and fans already raving about how good the tacos tasted. Pork & chicken tacos were on the menu to start, but throughout the day they had plans to bring out a new taco every hour. Incredible. I wanted to get a chicken taco...but when I noticed the jalapeno beef brisket option with cojita cheese and a pickle? Sold. Which was the correct decision, the taco was wonderfully spicy while the sweet pickle flavor paired perfectly. After we ate our Mission tacos, we were full-on sweating (no fans, misters, cool air or clouds in sight) and decided it was margarita time. We stayed in the Salty Senorita beer & margarita booth for SO long. The icy drinks and shade felt so nice! While we were in there, the festival started to get packed. We decided to make room for a few more samples, and get out before the dust/heat mixture killed us. 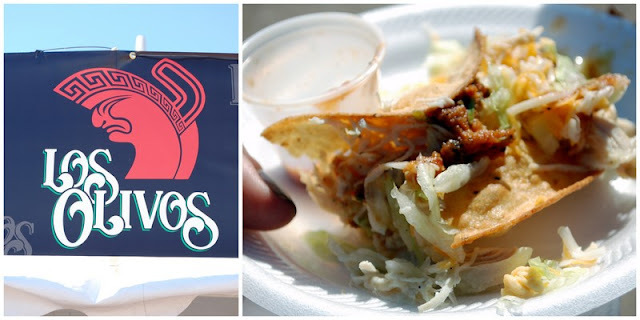 A crunchy chicken taco from Los Olivos...it was just okay. Fabulous shrimp taco from Tlicious food truck. And one final taco...vegetarian sweet potato from the herb box. It was all I managed to fit before my stomach revolted and refused to let me eat any more. Thankfully we were right next to Scottsdale fashion, so I shopped off the fullness and went home. Overall a great day! Until next year, taco festival! That sounds like such an amazing time. But wtf is up with our weather lately?!? Sheesh. Hey Megs, boy do we have some news for you! www.TucsonTacoFestival.com - April 28th!